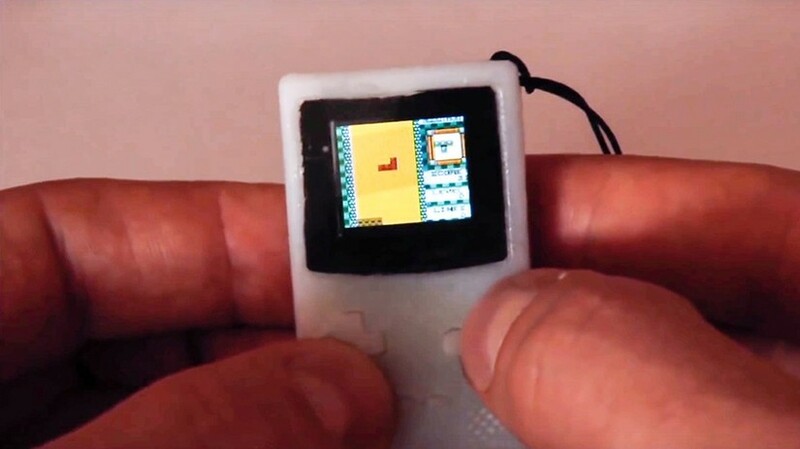 Jeroen Domburg developed a tiny Game Boy so small that using your thumbs to play it just about covers the whole device. Created for the 2016 Hackaday SuperConference, the miniature Game Boy was created using a combination of a 3D printer, ESP32 microcontroller, and a minuscule color LED screen. Obviously, the small device can’t accommodate game cartridges so they must be downloaded from a network and then utilized on an onboard Game Boy emulator. While it’s definitely not the easiest to play, if you want to get your Doom or Tetris fix in, the tiny Game Boy is certainly more than capable.